The expansion of our scenery continues with these excellent stone walls! 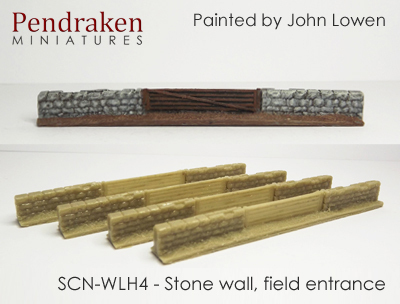 Coming in packs of 4, we've got straights, curves, corners and field entrances as well. 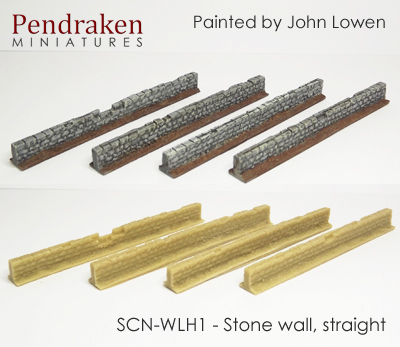 The straights and curves are all slightly different, giving some nice variation on your tables. 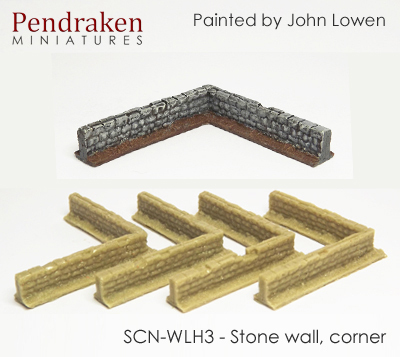 Each piece is 80mm long (corners are 40mm in each direction) so each pack provides over 1ft of wall for a bargain £3! 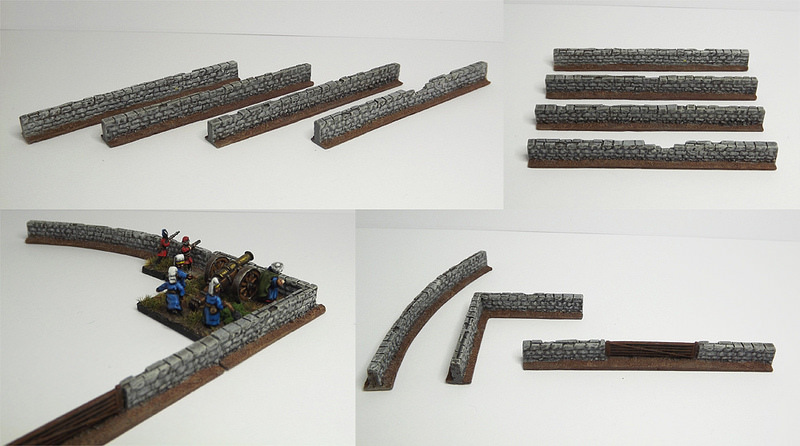 The walls themselves are around 7mm high. 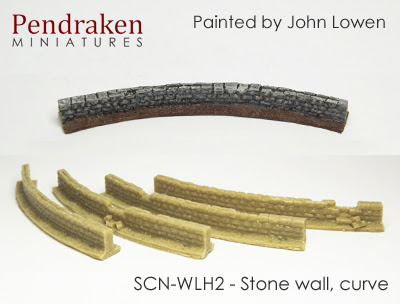 These were modelled and cast for us by John Lowen at Ironclad Miniatures, so stay tuned for more excellent new models coming soon!